My goal was to see the .NET code after the Start button click in that app. Any idea how should I proceed? After you press 'Pause' you will end you in the message loop - that's ok. Go to the call-stack window and you should see your binary in on of the previous frames. Double click on one of them and dnSpy should load it and analyse. But since the binary is packed (and probably obfuscated) I think you need to first unpack it and run this version in order to correctly map instructions to lines. 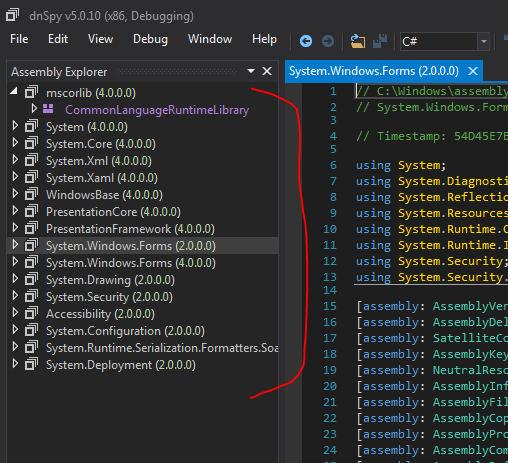 Start up MegaDumper and locate the .NET process in the list (at this point it is already unpacked in memory). 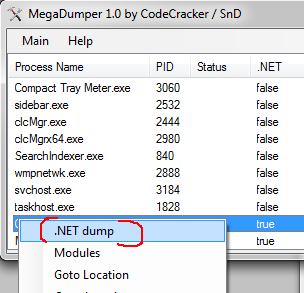 Right-click it and pick .NET dump, wait for a little bit and it will create a folder in the same location with the dumped .NET files. Not the answer you're looking for? Browse other questions tagged disassembly .net packers . How would I begin REing this proprietary model format?